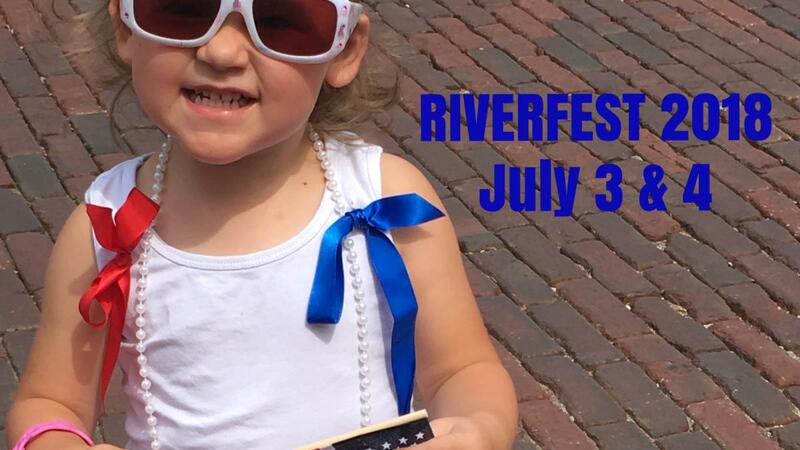 Riverfest 2018 is fast approaching, and we’re getting excited! The festival will take place on Tuesday, July 3rd from 5:00 to 10:30 PM, and Wednesday, July 4th from Noon to 10:30 PM. 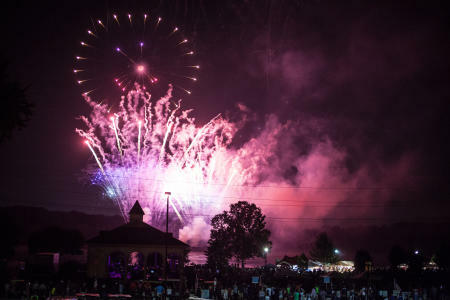 This year’s festivities will include a parade at 10:00 AM on the fourth, live music from 5:00 to 10:30 PM on the 3rd and Noon to 10:30 PM on the 4th, as well as a carnival, craft, & food vendors! 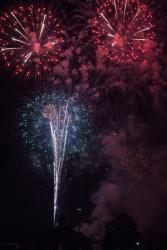 The celebration will culminate with a spectacular fireworks display along the banks of the Missouri River on July 4th at 9:20 PM. Headlined by Byrne and Kelly, this year’s live music on the Jaycee Stage is going to be fantastic! The Patt Holt Singers will kick us off from 6:30 to 8:00 PM on the 3rd. This young group of singers is always fun to hear, and it’s awesome to have an opportunity to see some of our very own St. Charles talent! After Patt Holt, the St. Louis-based Midnight Piano Band will treat us with some wonderful covers of all-time classic songs! Featuring classic rock, pop, and more, this is a band that prides itself on its authentic live performances, and will be a real treat to enjoy. 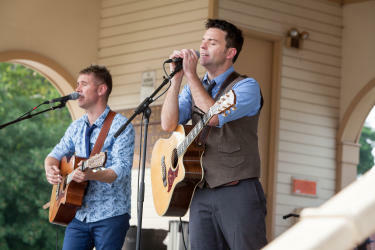 Wrapping up night one of Riverfest, the much-loved Irish music duo Byrne and Kelly from Celtic Thunder will be performing from 8:30 to 10:30 PM on July 3rd, check out our blog post on Byrne and Kelly to find more about why we’re so happy to have them! 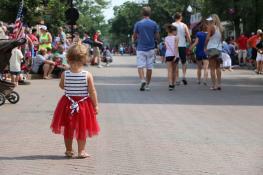 Fun on the 4th will begin with a parade at 10:00 AM! The parade route will start at Bales Park, then go South on N. Main, right on Tecumseh, left on North Second, left on Clark, and right on North Main. 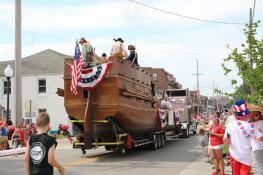 It will feature a band, as well as floats from local businesses, community organizations, attractions, and more! Be sure to check out the before AND after parade party in Frenchtown! 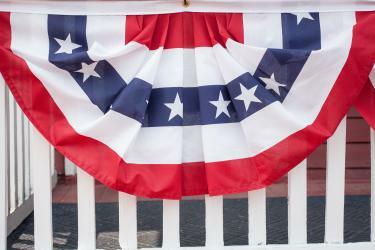 Live music on the 4th will begin on the Jaycee Stage at Noon with the St. Charles Municipal Band. This band has been around since 1870 when it was the St. Charles Brass Band. Look forward to hearing this historically awesome group of locals perform traditional and contemporary music. They will be followed by the Fort Leonard Wood Rough Riders, an army band whose performance from 1:30 to 3:00 PM will feature country and rock favorites. The St. Louis based country band Whiskey Morning will perform from 3:30 to 5:30 PM. Featuring Suzy Bacino on vocals, this band will be a blast to hear. The LustreLights will be our second to the last group of the night, on stage from 6:00 to 8:00 PM. This multi-talented band does it all- festival goers can look forward to hearing pop, rock, dance, classical and jazz! Live music for Riverfest 2018 will conclude with a performance from Platinum Rock Legends. Performing both 80s and classic rock, this band is exciting to hear and will provide an awesome musical conclusion for Riverfest 2018. 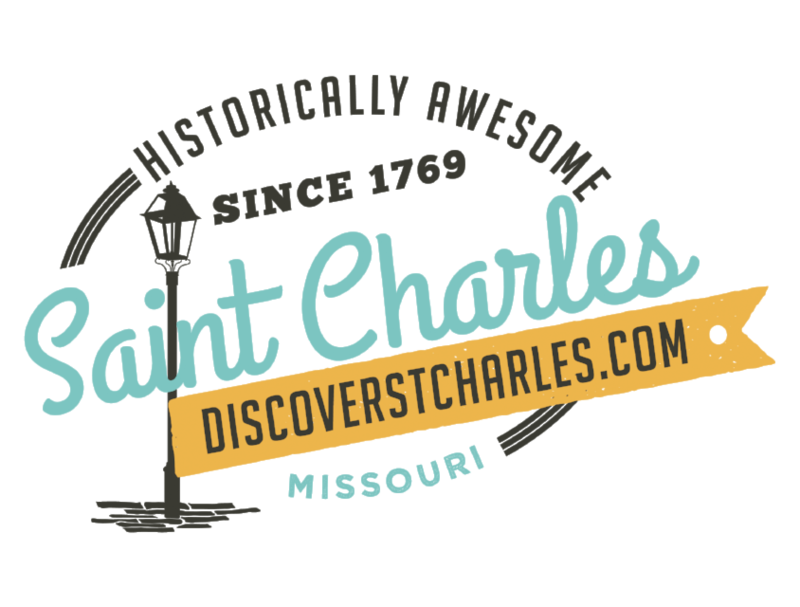 This event is St. Charles’ biggest party of the year! Anyone and everyone are welcome to come on down and celebrate our great country with our community.